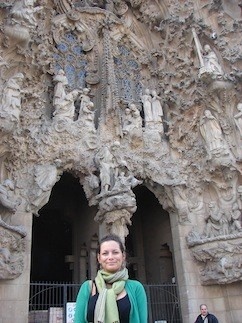 Dalhousie student Eve Court takes a side trip to Barcelona while studying at the Universidad de Salamanca. 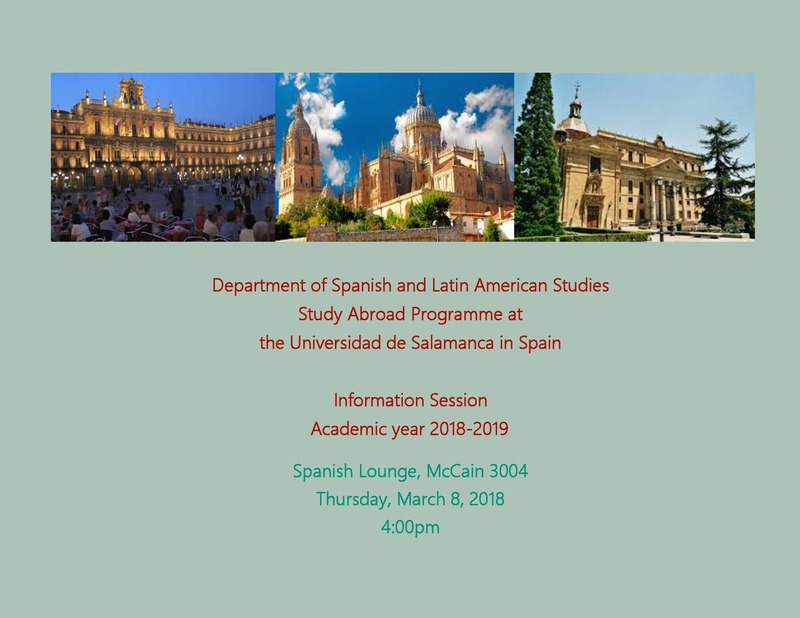 The Study Abroad Programme in Spain offers Dalhousie students the possibility of studying a semester in one of the oldest universities in Europe, the prestigious Universidad de Salamanca, founded in 1218. The programme offers an intensive study of the Spanish language and classes in Spanish culture, literature, history, art, cinema, business, etc. Students have the option to live in families, university residence halls or apartments. To apply, students must have completed an intermediate level of Spanish, SPAN 2020X/Y.06 or SPAN 2021.03 and SPAN 2022.03 with at least a standing of B-. Dalhousie University will grant eighteen credit hours to those students who successfully complete their classes in Spain. Cursos Internacionales has a collaboration agreement with the Regional Ministry of Education of Castile and Leon which allows its students to undertake an Internship as Conversation Assistant Teachers in bilingual primary schools in Salamanca. The internship has a duration of 8 weeks and consists of 5 hours of classes per week. Students who complete this internship will receive a certificate from the Regional Ministry of Education of Castile and Leon and from the Cursos Internacionales at the University of Salamanca. All inquires and applications should be addressed to the coordinator of the programme, Emilia Santos-Montero (emontero@dal.ca) or by telephone at 902-494-7118. 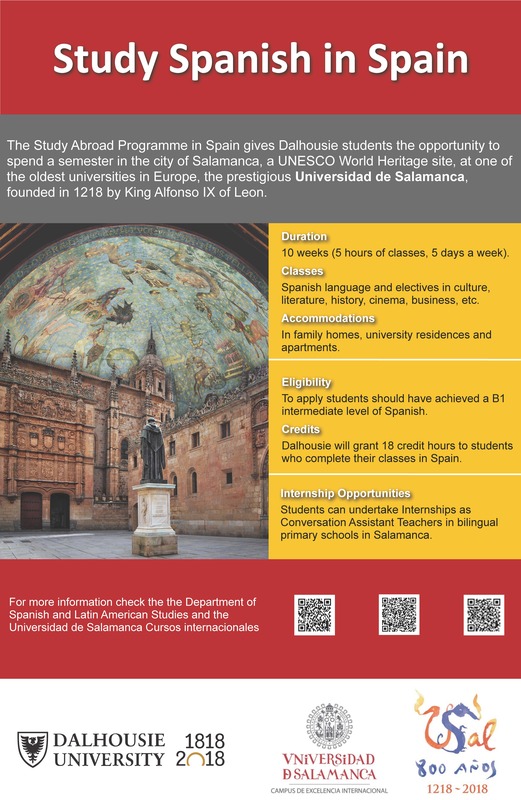 For more information visit the Universidad de Salamanca catalogue.